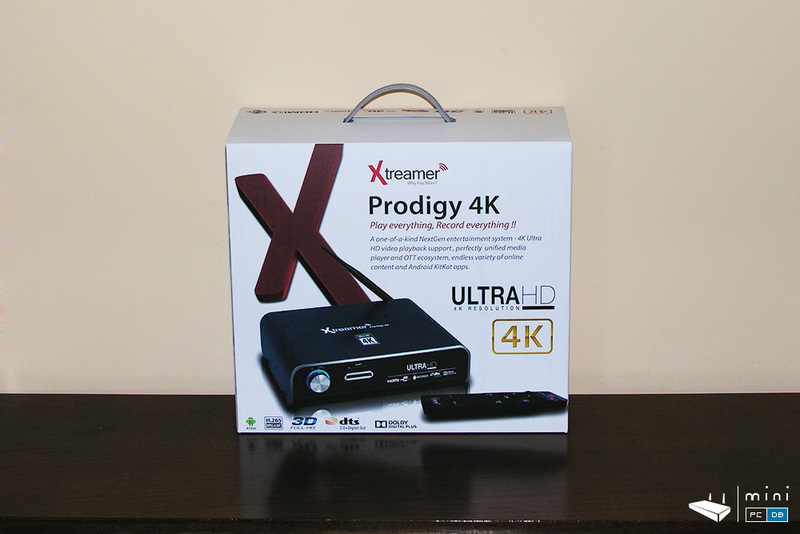 I've had the chance to test the Xtreamer Prodigy 4K and a full review will be posted soon. Today we start with the unboxing. 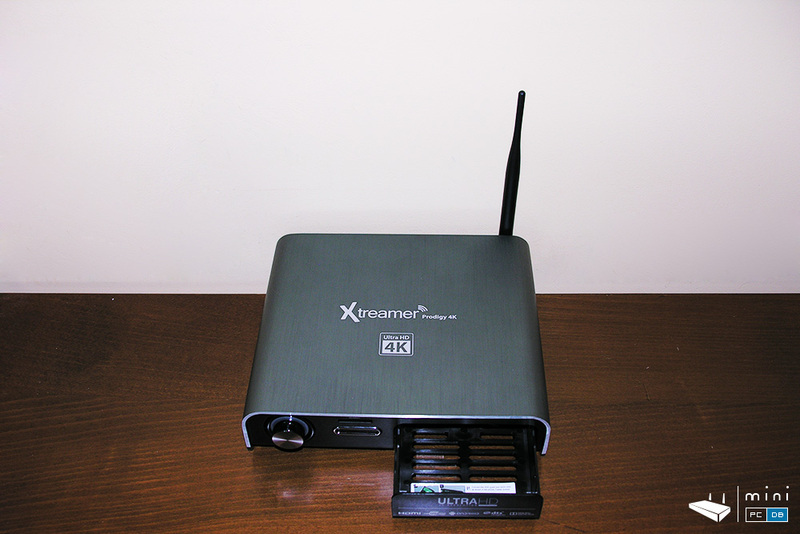 One thing worth mentioning before we start: Xtreamer sells this Mini PC through their distributors, but if you're in the EU you can buy it straight from Xtreamer, with free shipping and the Xtreamer AirMouse as a free gift - and you don't have to deal with VAT or import duties, which is faster and hassle-free, unlike buying directly from one of the Asian sites. First thing you notice about the Prodigy 4K is it's size. 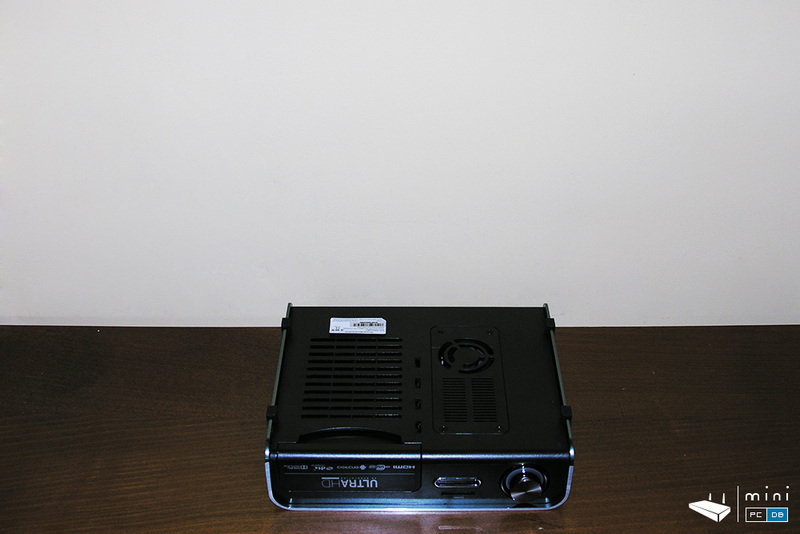 The box is larger than any of the Mini PC's we tested lately, and you get a sense of what to expect with their "Play everything, record everything" subtitle, backed with two exclamation marks. 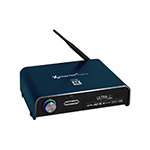 And they back that up right on the box with an impressive list of features: UltraHD/4K resolution, H.265 MPEG4/AVC, 3D-MVC, BD-ISO, DTS and Dolby Digital Plus. The device itself is a beautiful combination between metal and plastic - the top cover is made out of thick aluminum, mine is gray but it can look black from certain angles and in certain light conditions, so an impressive chassis to say the least. Bottom and front/back panels are made out of plastic, but a high quality one that looks like metal. 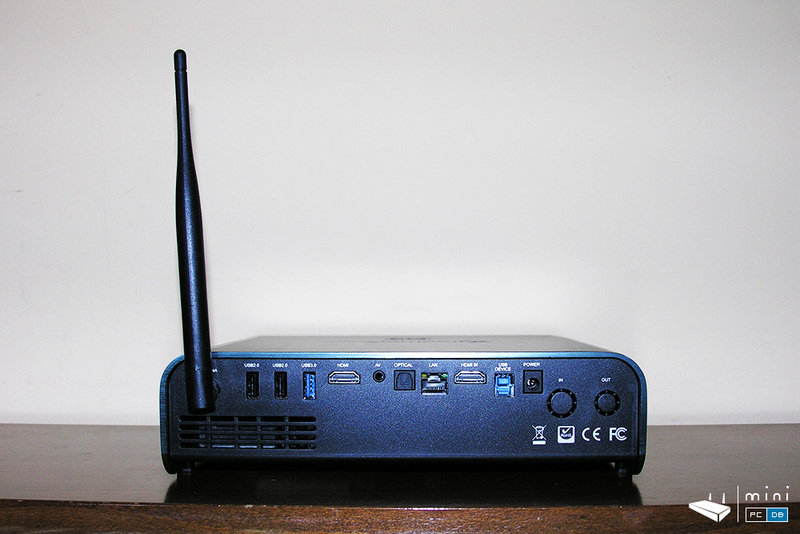 Basically the chassis does have that high-quality feel that you look for on premium, high-end devices. 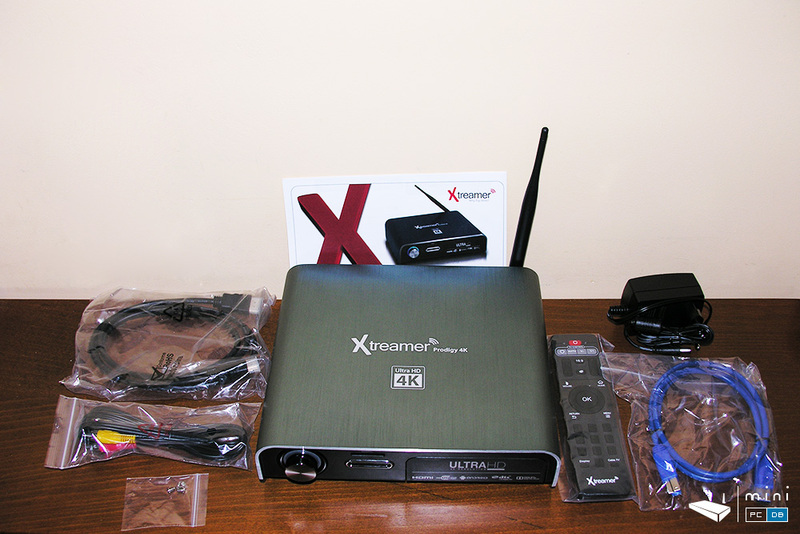 On top they printed the Xtreamer logo and the product name along with an "Ultra HD 4K" stamp. Ultra HD is mentioned again on the front HDD tray, along with the most important features (HDMI, USB 3.0, Android, DTS, Dolby Digital Plus). Also on front panel there's this rotating knob and the SD card slot. Inserting the HDD is a child's play: you can remove the HDD tray, add the HDD on it using the provided screws and push the HDD tray back into it's place so it will connect to the SATA connector on Prodigy 4K's PCB. Speaking about the PCB, you can get a sense of it by looking through the HDD tray slot - it's physically located next to the top metal cover, so the heat will dissipate better. There's no connector on any of the sides. - on the right there are also two non-used ports, marked "in" and "out", presumably for a DVB-T antenna setup which a past of future Prodigy device might have. Not the case here. On the bottom of the device we get to see the fan used to cool down the HDD. Interesting fact is that there are 4 screws that can be used to access the fan only, so you could clean it, replace it or even unplug it if you decide that it's not needed. 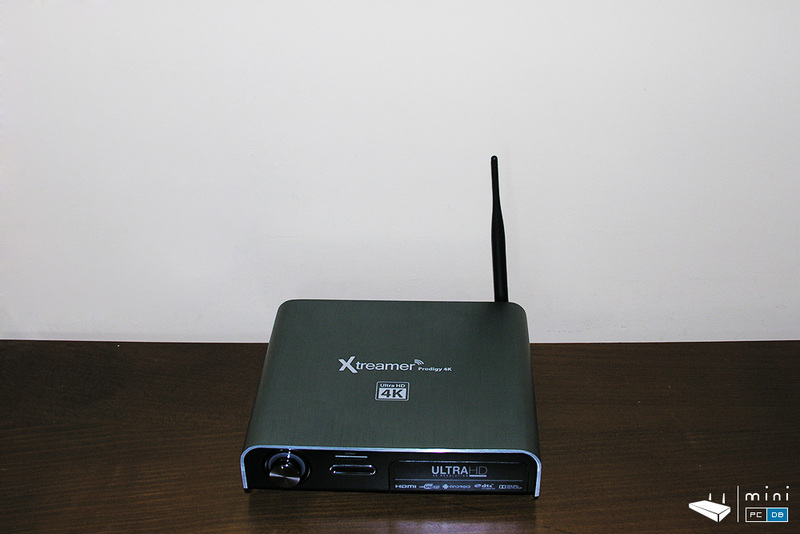 Xtreamer provides a good looking mini PC using a classy combination of metal and plastic that is battle-tested (it was used on previous "Prodigy" models). 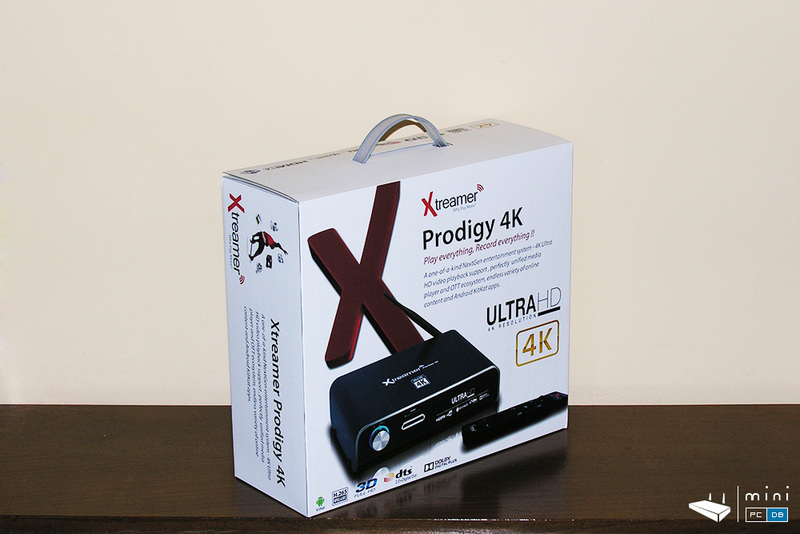 Prodigy 4K promises to deliver good file format support and a very rare function amongst the Android Mini PC's - it can record from HDMI in. But is that fan noisy? 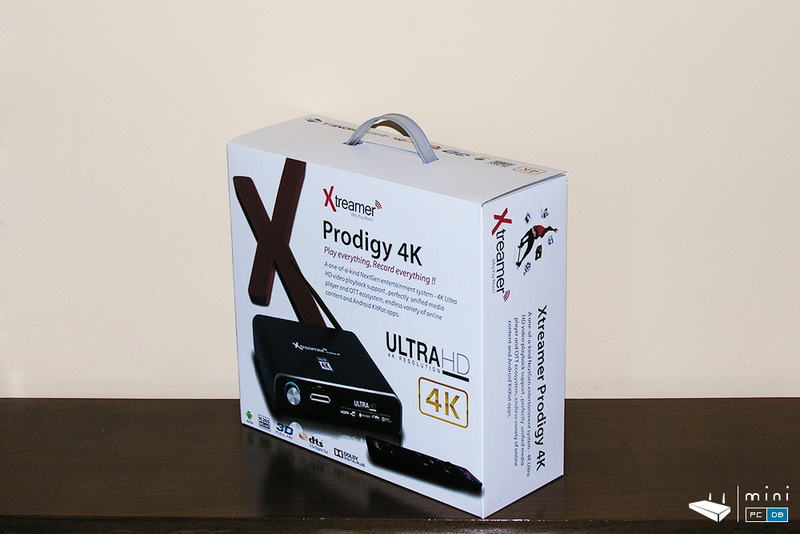 How to root the Xtreamer Prodigy 4K? 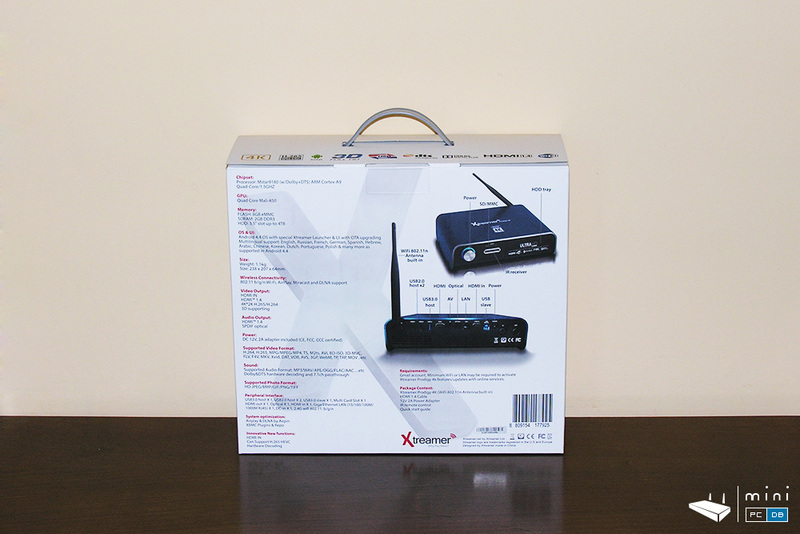 Follow us on twitter to be announced when we publish the full review and have all questions answered.